What Ken Be Done? : Day 206/365: How many signatures can you have on a small purse? Day 206/365: How many signatures can you have on a small purse? 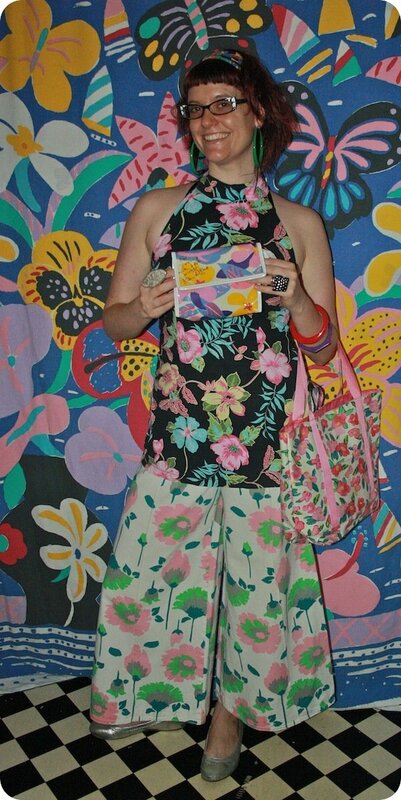 Ken Done scarf as headband, Lafont glasses, Flower top from op shop, handmade pants by Jodie at Maurer & Strange (fabric from Tessuti), Kenneth Cole Reaction shoes, Ken Done bag donated by Cousin Christine, and Ken Done purse (WKBD Collection). 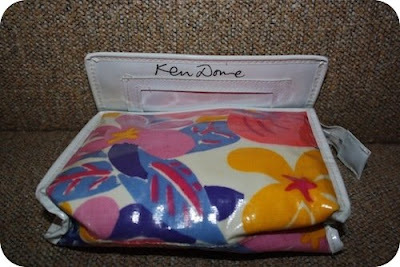 When I found this Ken Done purse, I was determined to find out exactly who 'Yvonne' was. You'll be pleased to know I've worked it out**. The wonderful Ken Done signed his name a total of THREE times (!) when he gave this purse to South African Yvonne Chaka Chaka: also known as the Pop "Princess of Africa". And why did KD give the purse to her? Well he spotted her music video clip for her song "Let Him Go"... and it was the sheer amount of *outstanding* 1980s outfits that Ken felt needed congratulations and celebrations! 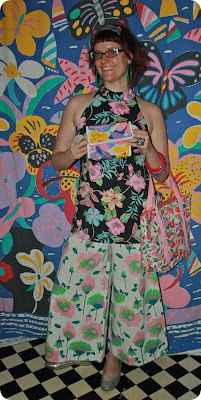 NIce pants, nice purse. After 206 days of your blog, I was not in the least surprised to see Ken's signature 3 times on such a small purse. Those pants are truely excellent and I would love a pair too. OMG LOL - I totally believed your story!! 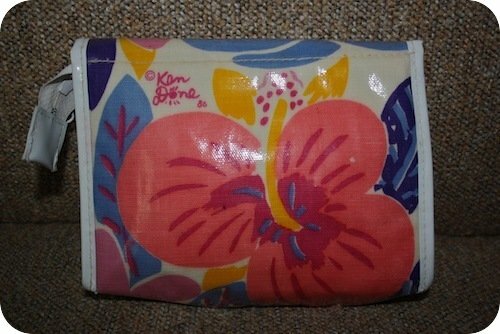 I was trying to figure out how you got the purse, because surely Yvonne would never part with such a gift. I love story time jackie - looking forward to next adventure. Doc: thanks for humouring me, lovvie! Julia: Wait until you see the matching top too!! 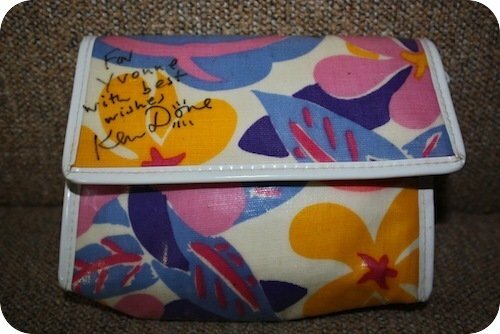 Anyone out there have Ken Done having signed something FOUR times?! !